Shielding Solutions have developed a range of conductive paints and coatings to suit most requirements according to your needs. Conductive coatings can be applied to most surfaces to provide flexible and hardwearing conductive and antistatic finishes. ECP-SWA001 is an electrically conductive paint comprising of a pure silver filler dispersed in a water based acrylic resin. It can be applied by spray or brush and adheres strongly to a wide range of polymer materials. The formulation is free from solvents that could have a detrimental effects on plastic substrates such as stress cracking. The cured coating in very tough/durable and resists scratching and abrasion. 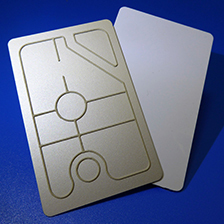 The high conductivity of ECP-SWA001 means that a coating thickness as low as 10 microns can provide effective shielding. 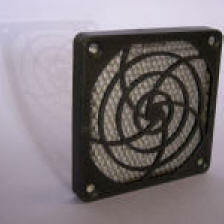 The cured coating has good cohesive strength and does not shed conductive particles. ECP-SSE002 is an electrically conductive coating comprising of a pure silver filler dispersed in a silicone elastomer resin base. It can be applied to a wide range of substrates where on curing will form an electrically conductive coating providing excellent RF shielding / electrical continuity. 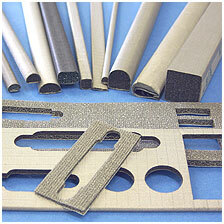 It will adhere to a wide range of polymer substrates including low surface energy materials such as silicone elastomers. Once cured the coating is very flexible and will tolerate relatively high levels of deformation over a wide temperature range. 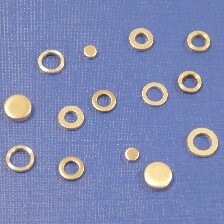 The high conductivity of ECP-SSE002 means that a coating thickness as low as 20 microns can provide effective shielding. 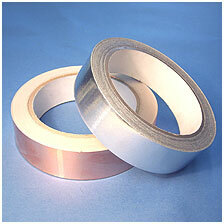 The cured coating has good cohesive strength and does not shed conductive particles. Dispersed Graphene particles in both acrylic and polyurethane based resin to produce a coating that can be sprayed onto any surface requiring a conductive coating and remain transparent. The main advantage of this application is that unlike existing conductive coating solutions a 3-dimensional product can be coated. In order to be used in explosive environments the light covers must be below 109Ω whilst still providing an adequate amount of light. This material is easy to apply the coating no specialist equipment is needed, application is quick and easy using standard spray equipment. The coating can be provided in an aerosol. The coating can be applied in situ to existing ovens via aerosols or to production items. It is also permanent, very cost effective and complies with BS IEC 61340-5-1:2007. By providing an easy to spray coating the cost of new permanently ATEX compliant lighting covers is greatly reduced. The ability to provide the coating in an aerosol package enables users to retrofit existing covers in situ. This provides an immediate solution to satisfy safety requirements as well as reducing costs as an entirely new fitting does not need to be used. Downtime is reduced as existing fittings do not have to be removed and the expense of requiring an electrician is no longer necessary.